The Absolute Yoga and Pilates Studio is a beautiful studio in Woodland Hills that offers private, semi-private, group reformer classes, and mat Pilates. We are looking for a certified mat teacher that loves to teach mat! We have available spots for Tues and Thurs evenings as well as Sat mornings. We are also interested in a reformer Pilates teacher with at least 3 years experience who is able to do everything from break down exercises for new clients to creating challenging men’s workouts. This person must be patient as well as understanding with older clients and have liability insurance and availability in the mornings or evenings. Please call Conni Ponturo at (818) 226-0695 for further information and send resumes to theabsolute@sbcglobal.net. The Humorous side to Dementia and Alzheimers? Burn at the Barre – Home Study Now Offering CEC’s! Burn at the Barre Is Nationwide! What began a very short time ago has spread like wildfire across the country, and up to our friends North in Canada. This terrific little video clip shows our friends enjoying “Burn at the Barre” in Buffalo New York as they were awesome enough to celebrate their one-year anniversary of Burn at the Barre. 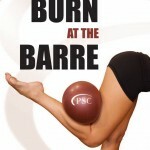 Burn at the Barre – The Review is in! Split Pedal Wunda Chair DVD Now Available!